NOV/DEC IN ALB, SALT LAKE, NASHVILLE, NEW YORK & NEW JERSEY! 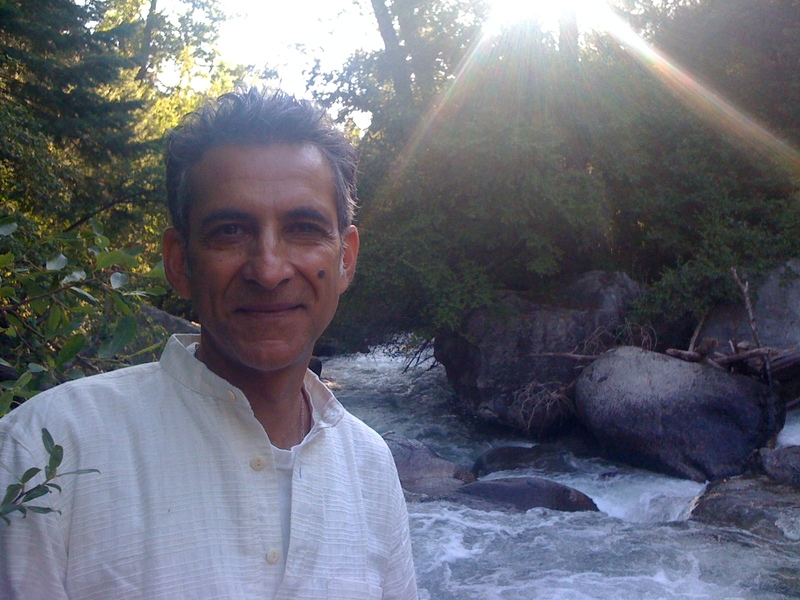 Nov 6-9: Studies with Robert Svoboda at the Ayurvedic Institute: Tantra For Daily Living. The Inner Galaxy: Exploration of the Yogic Body: Entering the kosha, nadi, marma and chakra systems. Sarod Maestro Pandit Vikash Maharaj, the tabla prodigy, Prabhash Maharaj and yours truly began welcoming in Diwali a full two weeks in advance. On the full Harvest Moon. At Pacific Ashtanga Yoga Center in Dana Point. To a festive crowd, we dimmed the lights to emulate the dark moon of Diwali and told the story of Shri Rama returning to Ayodhya after 14 years of exile, an epic battle with Ravana and the rescuing of Sita Devi. How they were received by his younger brother, Bharata and the joyous people of Ayodhya. As the story revealed the light of their return, candles (diyas) were lit, just as then, till the room was bright with color and exuberance. Into this we chanted a puja to Sri Lakshmi for abundance and joy in the year to come. After the Lakshmi Puja, chanted by all, Pandit Ji and Appu thrilled with Raga Chandkauns, followed by their own composition, a haunting Raga called Ganga and kept going to a spellbound audience! Lest we give the impression that the Maharaj’s only play the most sublime and divine music, let it also be known that they are fully dedicated social activists for causes close to their hearts. Under the umbrella of Panchnaad, they also bring awareness to the collaboration of musical forms with jazz and other artists, the Holy Water Project , and other supported Projects . We will next be performing “live” on KPFK with Yatrika Shah on Global Village on Wednesday Oct 14th at 11AM! Listen in or go the archives after! 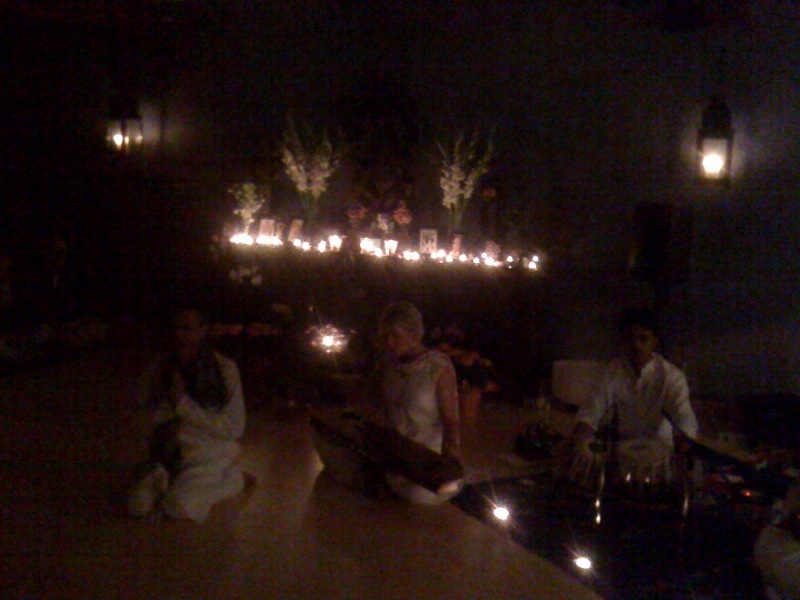 On the New Moon (transition from Ashwin to Kartika) DIWALI celebrated! 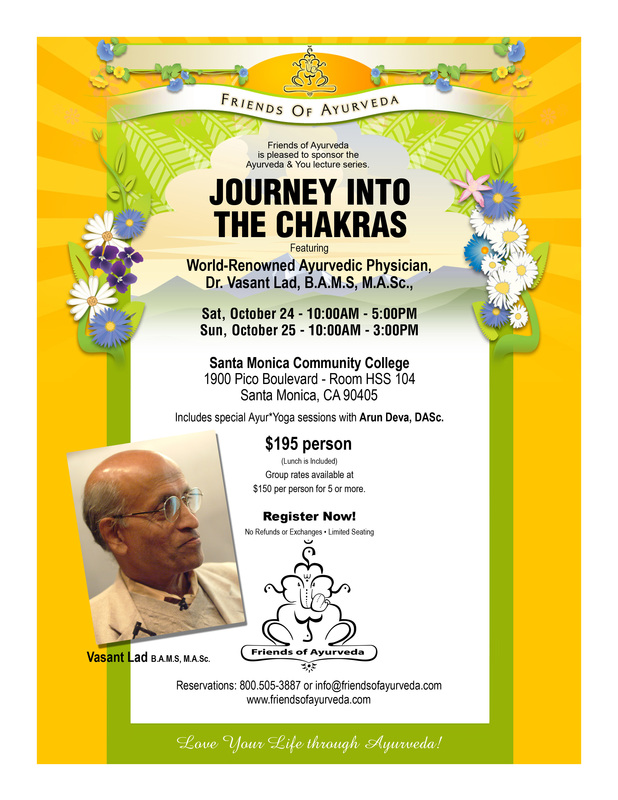 DR. VASANT LAD: Journey Into The Chakras! Diwali, the Hindu festival of lights, is the most popular of all the festivals from South Asia, and is additionally celebrated by, amongst others, Jains, Buddhists and Sikhs. It extends over five days. Because of the lights, fireworks, and sweets involved, it’s a great favourite with children. The festival celebrates the victory of good over evil, light over darkness, and knowledge over ignorance, although the actual legends that go with the festival are different in different parts of India. Regardless of the mythological explanation one prefers, what the festival of lights really stands for today is a reaffirmation of hope, a renewed commitment to friendship and goodwill, and a religiously sanctioned celebration of the simple – and some not so simple – joys of life. The last few months have been weaved from the single thread of journeying. Since all life experiences are reflections of internal shifts, the underlying event has been one of unraveling these threads; of traveling through an inner landscape. There is no point undertaking a journey unless we are prepared to enter the unknown. And there is no joy if the landscape does not evoke feelings of awe and beauty. Every river has its placid pools and its rapids. There are shallows and swift currents, eddies and swirls. My father used to say, some of us stand by the banks of the rivers of our lives and some of us dive in. I was pushed in. Being unprepared, I found the water cold and scary at first and then wild and exhilarating. I have gone through periods of depression, of anxiety, of fear, of grief and of anger in judgment of the Divine’s plan. In the end I am learning to surrender to the river. The sacred Ganga descended to the Earth because she was called, because she was needed, but she continues to flow in the Divine Realms even as she weaves her physical path from the Himalayas to the waiting Indian Ocean. I surrender to her majesty. My friend and I arrive in Varanasi by dusty train and an overnight journey of click-clacking monotony. The first thing I notice when we alight is the exuberance of colors neatly compressed into boxes of minutiae. Varanasi is a miniature painting bursting at the seams. You can feel the power of its energy, so compressed into detailed and picturesque homes, shops, packed streets bursting with tiny cars, rickshaws, scooters, motorcycles, bicycles, cows, dogs and people, oh so many people! Underlying it all are the smells; of samosas, fried sweets and human and animal lives experienced in broad daylight and bright fluorescent nightlights. The cacophony of sounds seems natural to this landscape. We stay with an amazing family of musicians who had befriended me in Los Angeles and captured my heart. Now I find them expanding into (more) brothers and the proverbial Indian Mata Ji. 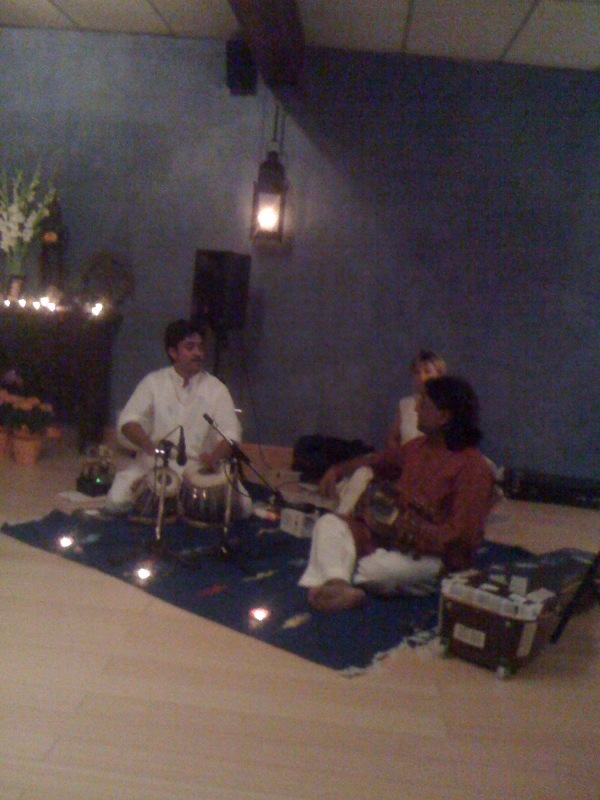 The house is known as a gharana. A holder of space for celestial music and you can feel its ancient vibrations coat the walls in song. In the Surya Dynasty, in the house of the Ikshvakus, there arose a great calamity. 60,000 sons dead, turned to ashes by the wrath of a scorned Maharishi. A single stepbrother trying to atone for their sins of arrogance and then passing on this legacy to his son. It is the grandson, Bhagiratha, a true scion of the noble race who sees that his dynasty is crumbling. The unatoned sins are permeating the consciousness of his people and a glorious reign is fast becoming a caricature of itself. The issue no longer is that of holding the pieces together. It is imperative to reach into the roots and pull them out of the subconscious fetid ground of the Mind. Bhagiratha hands the reins of power over to his son and leaves for the Himalayas. Here, in the icy cold mountainous regions he stands on one leg, determined in his tapasya for a thousand years! It takes this long to coax the Creator, Brahma to appear and offer his Boon. What Bhagiratha asks for is simple. Let the sins of his ancestors be washed away in sacred water. Let their spirits rest once and for all. Let the dynasty continue as the paragon of virtue it needs to be. Brahma is touched but the path is not simple. 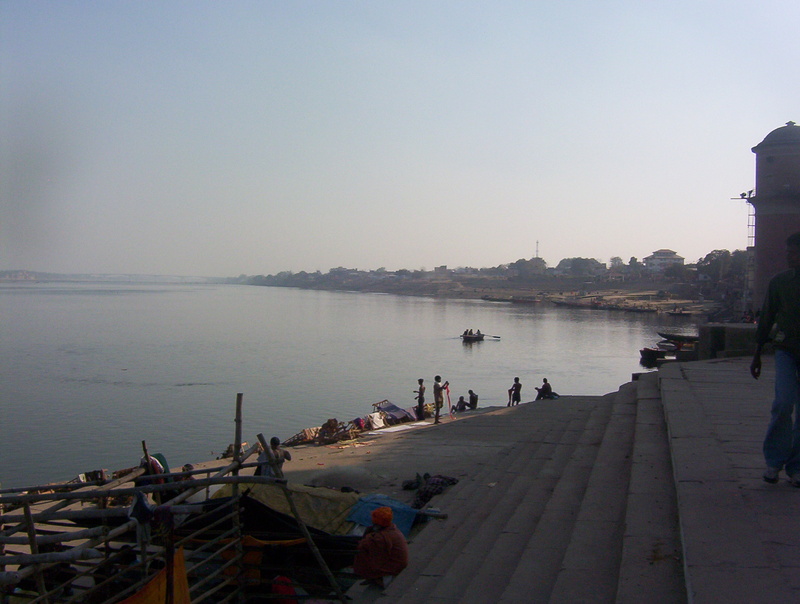 The haughty Ganga has to be coaxed down to Earth and when she comes, she will come as a deluge! Only one Being can arrest this fall and soften her impact. It is Shiva, the great Mahadeva. So it is back on one leg for Bhagiratha and as Shiva the Feared is compassionate above all, it takes only a hundred years of penance before the austere Blue God appears and, with a faint smile, acquiesces. As predicted by the Creator, when he calls her she howls down towards the earth in a deluge that would, if not arrested, drown the whole world! At her approach, all life, even the rocks and arrogant mountains cringe. Bhagiratha has his moment of wondering what he has unleashed, especially as Shiva is nowhere in sight. She is humble as she tells me this. And I am spellbound too when she whispers: “And then there he was…this single blue man/god standing silent by the side of Bhagiratha and in my rage and triumph over this brother in law of mine, I hurled myself with full fury of my unrequited love into his jata (matted hair) and was instantly captured…and absorbed!” It is obvious the love he exudes as he tames her spirit and then gently, at Bhagiratha’s behest, allows her to trickle down, chastened, onto the fertile grounds of the Himalayas. 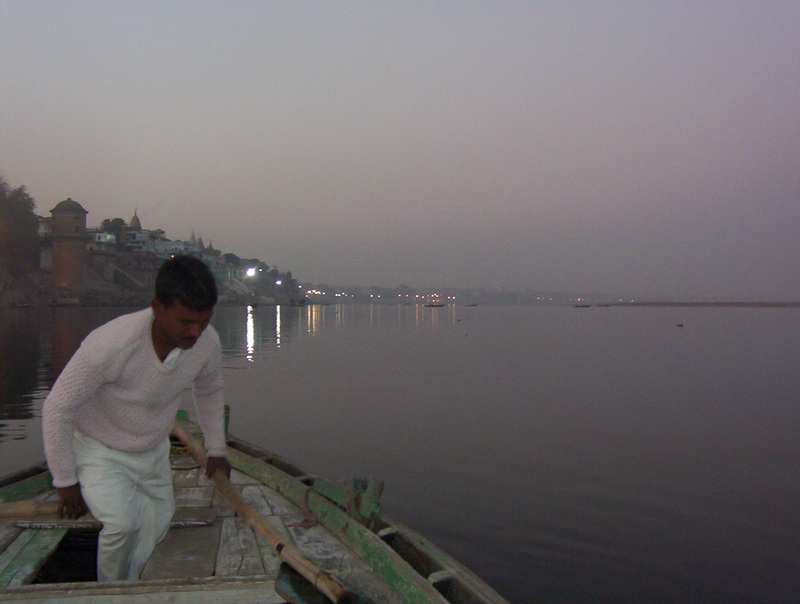 Kashi, as Varanasi was once called, hums with vibrancy that is both exciting as well as reassuring. Of his many homes, this is the one where Shiva practices his Tantra with Parvati. And so it is here that the magnanimous Ganga comes after visiting Rishikesh, Allahabad and Kanpur. It is here that in Pradakshina she turns from south to north, paying respects to Mahadeva and his Shakti before continuing her journey south to the waiting ocean. Jai Mata Ganga! 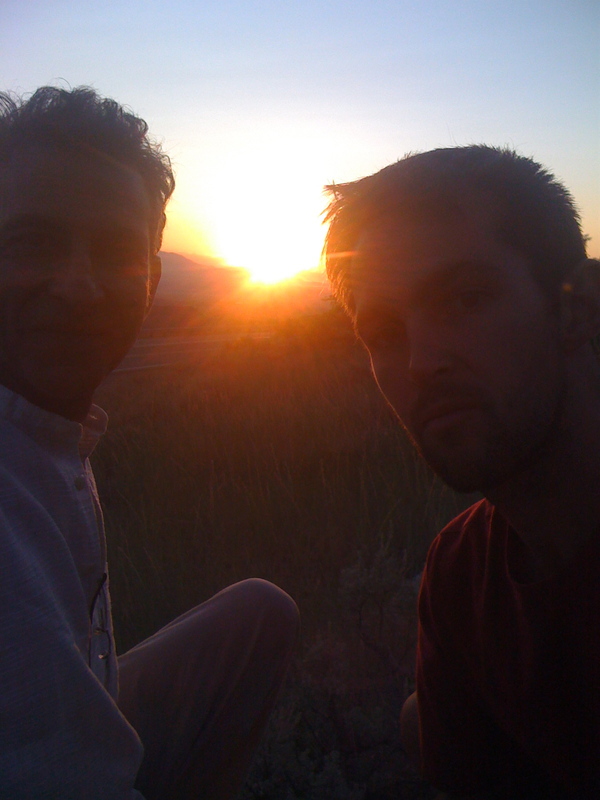 Albuquerque is where I try and go every summer to sit at the feet of Dr.Vasant Lad, my teacher and mentor. It is often at his feet that my understanding of life itself is deeply nourished and enriched. This time, my very dear friend Deb offers me room in her home. It is a stunning home, reflecting the largeness of her and her husband’s hearts. The back garden is lush with herbs, plants, a pond and many trees. In the house live two cats. There is a golden cat with five fingers, like a human hand! This cat is in the backyard when Deb calls me to come quickly. Across the fence are a doe and her child! It is indeed a beautiful moment when I lock eyes with the doe and she sees only the great awe I have for her reflected in them. I watch the little one dance away, pausing every few steps to look back at her mother. Her mother who has now locked eyes with the golden cat. The cat is perched on the top of the wall separating the backyard from the ravine. She swishes her tail from side to side and gazes back intently at the deer. This goes on for a few seconds and it is obvious they are communicating. Then the deer, impatient, walks towards the cat and her bobbing head never leaves sight of the cat and I wonder what is going on. It does not look like either is threatening or threatened by the other. Yet the communication is very intense. Suddenly the tabby jumps back down and races into the house! The deer stays, coming ever closer; gazing over the wall till she is satisfied the cat is gone in. Then she turns to seek out her own child. I am not sure what has just happened but shrug and turn back into the house myself. Suddenly, Deb calls out: “There is a coyote in the backyard!” It all makes amazing sense. Animal Speak. Animals speak in love tongue languages. 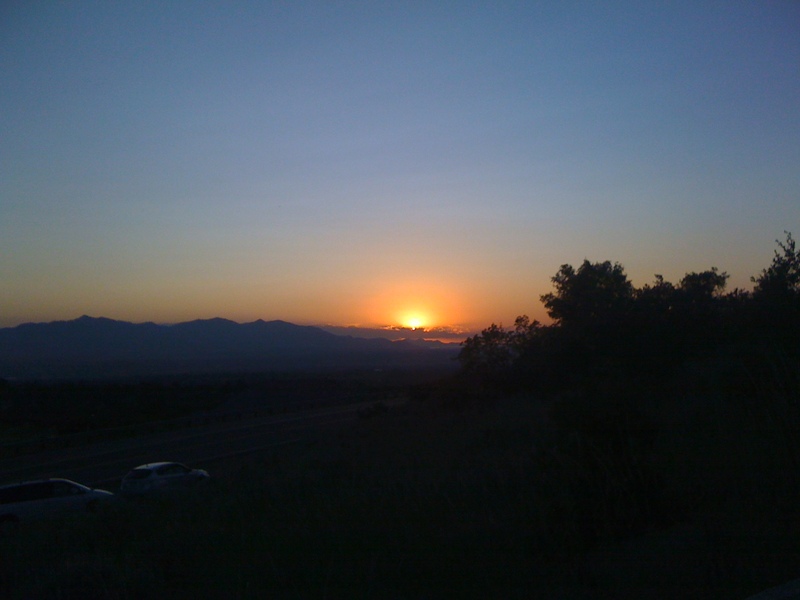 I am in Salt Lake City on July 21 when the full solar eclipse is witnessed in many parts of the Eastern World. It is a beautiful evening to go down to the river and then sit and watch the sun from where we are. And see what it does here. It is said that prayers offered at this time are magnified a thousand times. My friend in Salt Lake, Iron Cloud, takes me to Little Cottonwood Canyon. We hike into the woods on a less traveled path and seek the river. Through the trees we can see the descending sun. It is still early but a good time to sit. 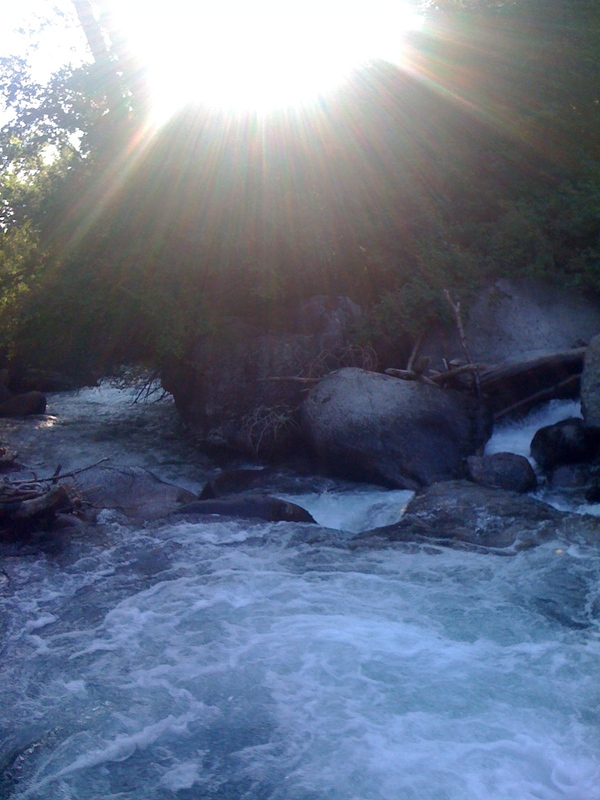 The sound of the river makes me pensive and slowly the wisdom of nature allows me to let the day go. And then so much more is released and a great sense of peace arises. After awhile I feel the need to chant. For some years now I have chanted my own puja. It brings me great comfort now in its unorthodoxy. It sort of grew from my studies with Dr. Lad. He always begins his lectures with prayers to Ganesha, Saraswati and the Param Sakshat Guru. 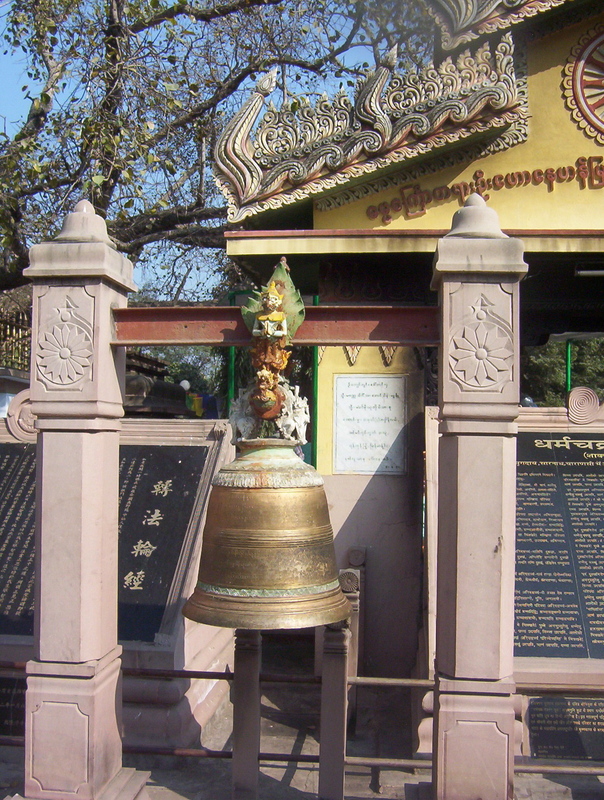 One day I added in a prayer to the Buddha, a call really, one that has echoed down the ages. The Hanuman Puja followed like the bees follow honey and then it grew to include a prayer to Krishna as Acchutananta Govinda, the great healer. It only seemed fitting then to pray to the Devis for the boons they bring: wisdom, abundance and health. Finally there is the prayer to the navagraha (nine planets) for guidance in our lives. Often, as now, comes the Hanuman Chaleesa and Lakshmi Puja for completion. 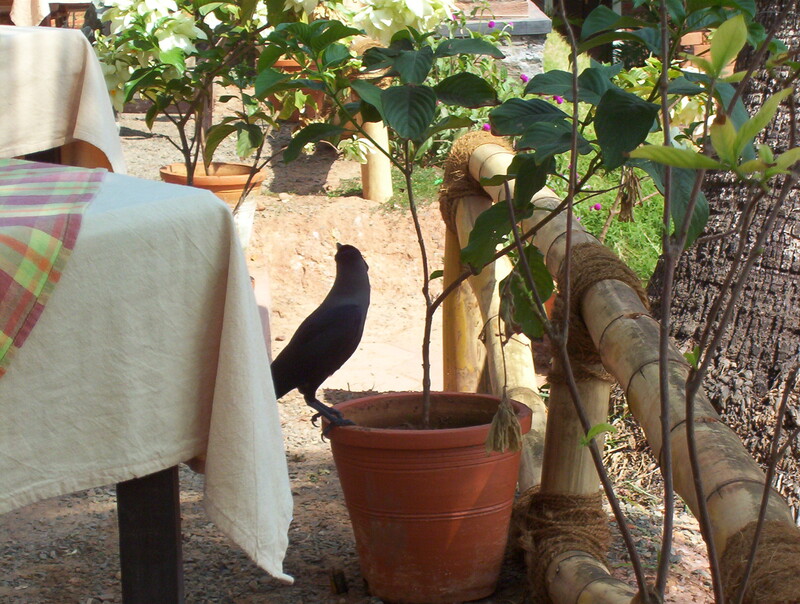 The pujas flows sweetly by the river and then it is time to go look for the eclipsing sun from a better vantage point. As we hike back I feel the joy we all seek, the one that is serendipitous. It is softer and more comforting than the common variety we call happiness and the distinction is quite clear now. This one is not dependent on anything happening. It just is there and it is complete and at moments like this it becomes quite apparent that it is always there, waiting for us when we are done with our daily dramas. 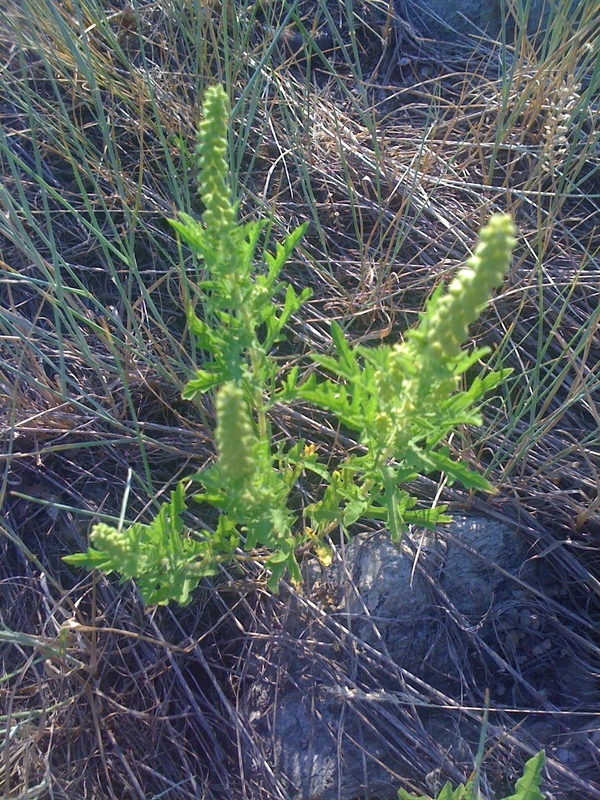 We drive to the side of the quiet highway and climb up past this herb that just vibrates with life. It tastes bitter, pungent and slightly sweet. I can feel its power course through my veins and wonder if it is not a liver or blood tonic. With the herb in my blood I settle down to watch the sun and something amazing happens! The center of this great Orb begins to soften and the orange becomes more fluid! I can actually look straight at it without squinting and wonder if this is what the ancient yogis referred to as the “sun that heals our sight”. From around this orange glow arise the red flames that it casts off and the meaning of the Gayatri Mantra becomes quite apparent. We see only our own vivid vibrations and not the Source they arise from! Iron Cloud and I begin to chant the Gayatri 108 times. Each intonation is alive with meaning for me and I know the sun is encouraging me in my prayers even as it asks if I am ready for this. I do not know what this is but I know it will be powerful and it will shake my world. I say I am ready with each word I chant and again I do not know where this journey will take me only that I cannot stop now. As the Buddha would say, once you enter the stream there is no going back. I hear now the sound of the Aditya Hridayam (The Heart Of The Sun) and realize what a powerful weapon for peace it is. I know that this Path I have chosen has as its center the great longing for peace that comes when we replace all other longings. I am ready. On a particular day, a couple of crows came and perched on a tree in a neighborhood. They started to “caw”. In a little bit, more crows joined them and added their dissonant voices. Not much later, birds of other common species began to arrive and take up stations around the perimeter, filling the trees. At a certain point, the birds became all quiet. At this time it was noticed that a venerable old owl had seated himself on a log on the ground. Then he began to call in his bird tongue. He spoke melodiously for a while. When he was done, he left. Slowly the birds too began to leave. The sermon on the log was over. Finally the crows also departed.